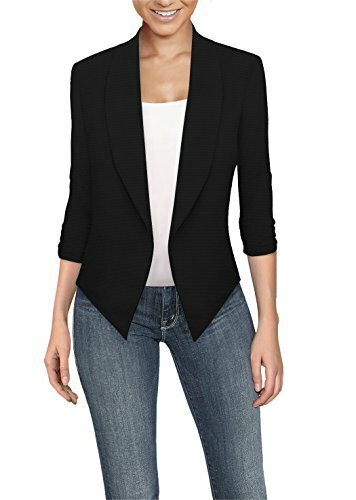 Versatile casual and office Open-Front blazer jacket featuring Ruched Sleeve, suitable for work or everyday. Designed to be wear even in hotter months in spring and summer, as well as year round. When you purchase 3 or more. Enter code 7ZC2WXIG at checkout to receive 20% OFF! This is not just an ordinary office blazer jacket. The fabric is light, soft and so comfortable you could wear it anywhere!